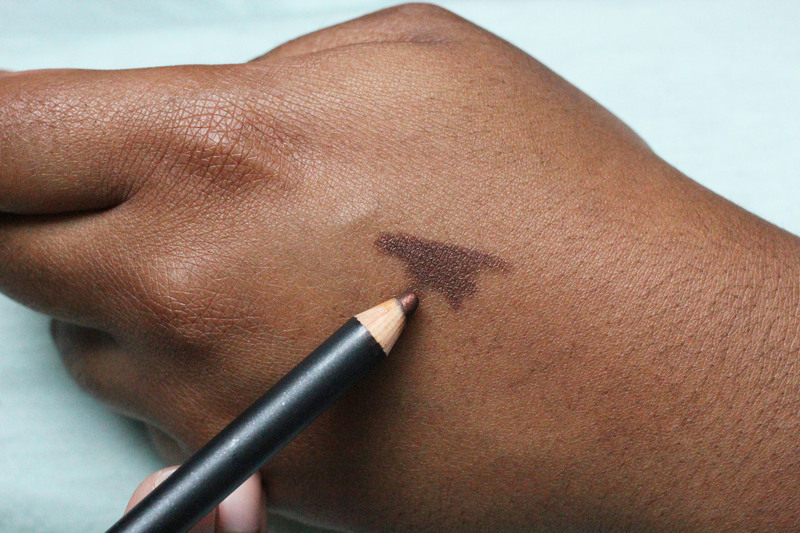 Eyeliner for Liner-Noobs (and non-Noobs alike) – amandarobots. In my makeup counter days, I once had a client tell me that brown eyeliner is pointless. Although it certainly isn’t as dramatic as black, it can make eyes pop and almost always looks more natural than black does. These are two points that make me reach for a brown over a black frequently. Brown liner is so, so easy. If you’re new to makeup, you can start with a tinted moisturizer, a smudge of brown kohl and some mascara and be golden. If you’re a makeup maven, brown liner is nice for low-key, natural days. I’ve dabbled in brown liner – both gel and pencil. I’m nearing the end of my brown pencil – Urban Decay 24/7 Pencil in Demolition* – and took it as an opportunity to try something new. Because of ViviannaDoesMakeup, I opted for a cult favourite that I had overlooked: MAC’s Teddy Eye Kohl. It’s a warm dark brown with flecks of shimmer that make it lean bronzey. I had never tried a MAC eye pencil, let alone an eyeliner with shimmer in it, so I was nervous. I’ve used this on my upper and lower lashline and I was pleased to find that it stays put very well. It’s not waterproof by any means, but few kohls are unless the package says so expressly. It’s very soft – not Urban Decay soft, but I sometimes find a stiffer formula easier to work with. The shimmer doesn’t travel throughout the day, and it lends it a softer look. All of this makes it very for a very easy to use, forgiving eyeliner. If you haven’t given MAC Teddy a chance, let me tell you – there’s a reason everybody talks about it. Great post! I agree, brown is great. I’ll have to put Teddy in my wish list! Ohhhhh. That colour is so pretty!